Space is precious – especially when it comes to high packing densities in electrical engineering. Space limitations mean that panel builders and switchgear manufacturers have to accommodate more and more mechanical and electrical components in enclosures. Now, a smart new enclosure accessory from Rittal can provide far greater scope for the interior configuration of compact enclosures. The planning and configuration of interior installations within compact enclosures can be both time-consuming and complicated. It can also lead to actions which compromise the integrity of the enclosure and add to the cost of installation. This neat solution saves time and preserves the enclosure’s protection category. It can be placed wherever it is needed in the enclosure and is easily fixed (with a screw) and it will support static loads of up to 100 N. A door-operated switch can also be fitted to the rail using an adapter (supplied). This means that rail mounting is easy even if the mounting plate has already been installed. What should project engineers and technicians consider when planning and installing IT infrastructures? How do they plan the electrical, climate control and security requirements? Both server and network technology can be housed in an IT rack. The use of the rack determines its size and dimensions. By contrast, 600 mm width is sufficient for a “pure” server rack because the power cables are at the rear and do not require any space at the sides. The rack is typically 1,000 to 1,200 mm deep. In the case of mixed configuration, with server and network technology within a single rack, the width must be 800 mm and the depth 1,000 to 1,200 mm. This means that network distributors, patch panels and PDUs for power supply can be comfortably installed, as can larger numbers of cables. The location of the rack defines the protection requirements and safety class, which is expressed in the international IP (“International Protection”) standard. If the IT rack is in an office environment, access protection as per IP 20 (with a lockable door) is sufficient. A rack in a production building, however, needs to be lockable. With IP 55 protection, it also needs to be safeguarded against dust and jets of water. IP 20 protection is sufficient in a closed data centre. Here, it isn’t necessary for the individual racks to be lockable, as only authorised persons have access. Access to individual racks is controlled through an electronic lock, a card reader, or a transponder. Personalised access control via a transponder card or a uniquely assigned numeric code identifies who had access to the server rack, and when. Taking this a step further, a dual control, counter-checking system (“four-eye-principle”) is also feasible, where two people have to provide identification at the same time. The Rittal stand at Hannover Messe was honoured with a visit by US President Barack Obama and German Chancellor Angela Merkel. Rittal‘s owner Friedhelm Loh welcomed the heads of state to the Rittal stand during their time at the event on Sunday evening during a “high-caliber” opening ceremony. In her speech, Merkel emphasised that cooperation is essential for the future of industrial production – in a transatlantic partnership. “We in the EU want to lead the way, together with the USA,” said the Chancellor, referring above all to the development of global communication and IT standards for integrated industry. The Technische Universität Chemnitz has awarded the Hessian entrepreneur Friedhelm Loh an honorary doctorate for his outstanding contributions to science and technology. Representatives of research institutions and universities and from the worlds of politics, industry and trade associations honoured the industrialist as a resolute man of action and visionary. Friedhelm Loh is a driving force behind the networking of business and science, is actively helping to shape industrial digitalisation, and is thus inspiring future generations to think in new ways and to act responsibly. Herborn, 24 March 2016 – His success is based on creative curiosity, hard and inventive work, his passion as an entrepreneur and his renouncement of things that others take for granted, that is how Professor Reimund Neugebauer described the newly designated Doctor Friedhelm Loh to a large audience in the ballroom of the Technische Universität (TU) Chemnitz. The President of the Fraunhofer-Gesellschaft and holder of the Chair of Machine Tool Design and Metal Forming stressed that Friedhelm Loh always achieved his goals, generating enthusiasm and displaying responsibility and humanity in the process. The Technische Universität Chemnitz was happily awarding the Hessian entrepreneur the honorary doctorate for his active work in networking industry and science, business and academia. His work had set priorities and opened up new horizons. In his speech, Professor Dr. Stephan Holthaus, rector of the Giessen School of Theology, explained why it pays to be driven by Christian values: “What has mechanical engineering got to do with prayer, and what do have switching modules in common with moral values?”, he asked the audience. In his reply, he recalled the founding of the Benedictine order in the sixth century. Its rules, including “Ora et labora – pray and work”, were more relevant today than ever before: “We live in a time when the meaning of work is overstressed. He added that work nowadays was not embedded within a larger horizon of meaning.” What are needed are moral rules and ethical guidelines, which Friedhelm Loh and his family exemplify. Loh was a “hard worker of the old school, who is determined and works hard, who is willing to accept responsibility and does not make it easy for himself,” said Dr. Holthaus: “This is admirable in an era that yearns for values and orientation.” Dr. Holthaus not only outlined Loh’s economic success but also focused on how it was firmly rooted in the Christian faith: “You adhere, in word and deed, to the rules laid down Saint Benedict,” he said in praise of the prize-winner. The art of science is to develop solutions for the benefit and protection of the people, Friedhelm Loh added. He emphasised the fact that science and industry also bore responsibility: “Industry 4.0 is the technology that is developing itself, gaining new insights from its own data and so changing our lives. Despite all the euphoria about self-organising technologies, one ought not underestimate the dangers of cybercrime or of humans becoming ‘transparent’: There is a great danger that we will not only to lose the freedom anchored in our constitution but also the right to well-being, to hold our own opinions, and to act individually.” He feared that the personal right of liberal individuality would perish though the access of technology to human beings: “Data not only creates free spaces but also prisons.” In terms of their responsibility before God and Man, science, industry, government and justice are required and obliged to protect human dignity. We had a great day at our shows yesterday. 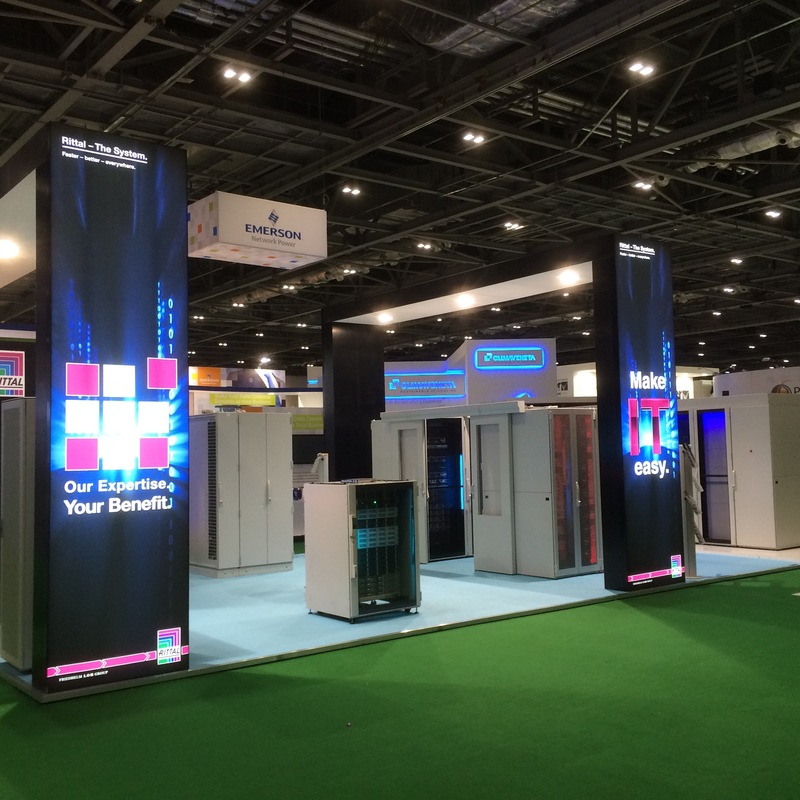 IT flexibility, corporate agility and reducing operational costs are just some of the key themes critical to business success that Rittal will be tackling at Data Centre World 2016. Advanced IT infrastructures and streamlined processes help drive business competitiveness, but the speed of global innovation continues to get faster, which means a smarter approach is required to compete successfully. 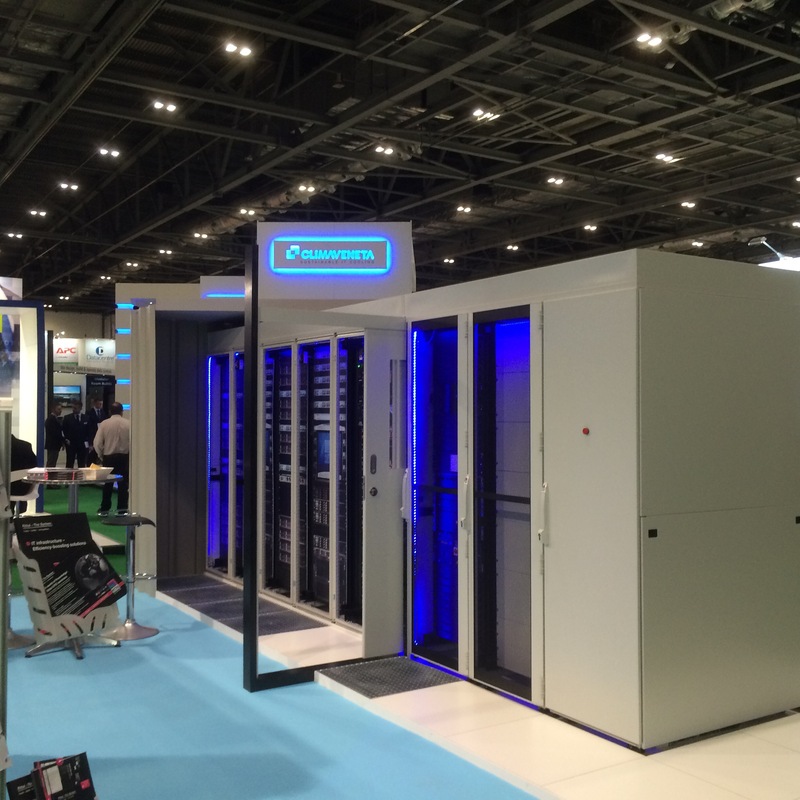 This is where modular resources come into their own and is one reason why they are increasingly the go-to solution for IT professionals looking to develop their data centres across a range of industry sectors from financial institutions to manufacturing companies, as well as the oil/gas sectors and the military. 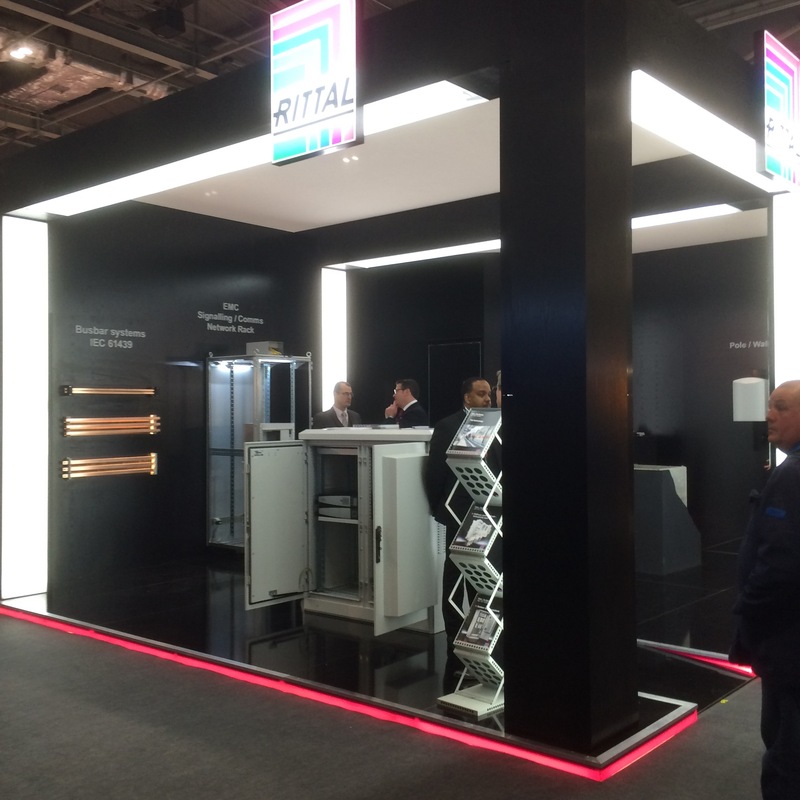 Rittal’s RiMatrix S modular system will be taking centre stage on the company’s stand no. J20 at the show. RiMatrix S provides an intelligent modular infrastructure from a single source. The enclosure technology, power distribution, system climate control and electronics, right through to the IT technology are pivotal to this concept. Based on the TS 8 enclosure and IT rack system platform, RiMatrix S delivers advantages such as flexibility, quick and simple assembly, minimal warehousing, fast availability and high quality. It offers both an integrated solution for IT infrastructures and a future-enabled and comprehensive solution for building up state-of-the art data centres. All this is backed by Rittal’s high-quality engineering, and expert servicing and support. “There are many reasons why companies are electing to choose modular solutions like the RiMatrix S for data centres – and flexibility and substantial capex savings are very important elements,” says Clive Partridge, Rittal Technical Manager, IT Infrastructure. “But RiMatrix S also offers lower operating costs and higher energy efficiency. Both are key determining factors for many businesses given the exponential growth in data volumes that data centres now need to handle and the increasing cost of energy both of which are increasing pressure on IT budgets.” Modular solutions offer both permanent as well as temporary data centres and can be supplied within shipping containers or steel rooms that are pre- manufactured at the supplier site. They can be deployed or assembled on a customer site for external use, or supplied as building-block style designs for use within data centre buildings, effectively replacing traditional raised floor and purpose-built facilities. Furthermore, RiMatrix S can be deployed within weeks of receiving an order and in any environment, ensuring IT professionals are able to respond quickly to any demands placed upon them. Further information at www.rittal.co.uk and www.friedhelm-loh-group.com, or on twitter @rittal_ltd. Rittal will be showcasing some of its leading enclosure technologies at Drives and Controls 2016. Visitors to Rittal’s Stand D230 will be able to view its innovative modular enclosures, power distribution, and climate control systems, commonly specified as the No.1 choice for protecting critical equipment. Of particular note will be the presence of the new, award- winning Blue e+ climate control system which was launched last year to great acclaim thanks to its outstanding energy savings and flexibility. There will also be the chance to understand more about panel building automation, as well as servicing and maintenance programmes, designed to maximise your system’s efficiency, flexibility and longevity. And the company’s popular demonstration bus will be on Stand D964 giving visitors a “hands on” experience and live demonstration of Rittal products. Rittal – The System The company’s renowned infrastructure system – “Rittal – The System” – offers five perfectly matched modules: rack, power, cooling, security and monitoring and remote management. Based around Rittal’s TS 8 control cabinet and TS IT rack system platform, “Rittal – The System” offers modular, custom-fit solutions, providing maximum rack volumes, high levels of surface protection, stability and endless expansion possibilities. Today, more than 10 million TS 8 bayed enclosure are deployed across a huge range of industries worldwide. Critical to its success has been its flexibility and efficiency, high quality, safety standards, and its global availability. Also on show will be a selection of Rittal’s top-selling, cost-effective wall boxes. Compact Enclosures AE provide highly technical solutions to protect the valuable systems within. Their attributes and many benefits include corrosion resistance and a range of accessories for easy assembly as well as security and environmentals. Blue e+ The award-winning Blue e+ climate control system is a major advance for both the industrial and IT sectors and provides benefits to all users. It addresses common problems of panel builders, systems integrators, original equipment manufacturers and end users alike. As well as being far more energy efficient than existing cooling solutions, the Blue e+ uses state of the art technologies to deliver greater flexibility, safety and ease of handling. Key to the efficacy of the Blue e+ is Rittal’s innovative patented hybrid system which uses a clever combination of a compressor cooling device and a heat pipe to take maximum advantage of passive cooling. As a consequence, energy savings have been up to 75 per cent better than conventional units – a quantum leap forward for cooling systems, and a major incentive for manufacturers seeking to minimise steep rises in energy prices. 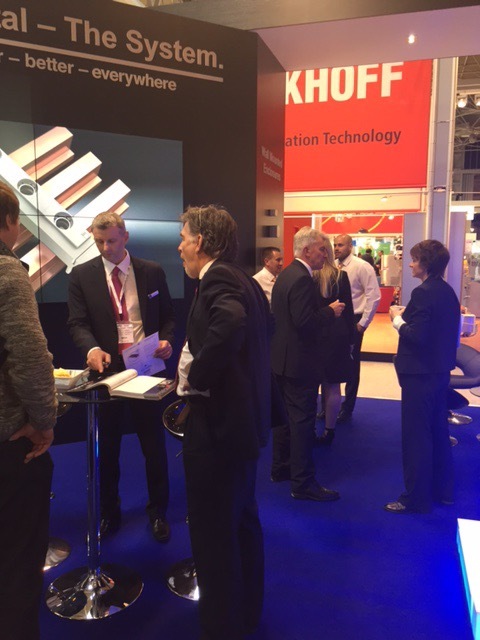 Power Distribution Visitors to Drives and Controls 2016 will also be able to find out more about Rittal’s popular busbar systems and the modular Ri4Power power distribution system supported by latest Power Engineering design software. The latter provides comprehensive support in planning and verifying compliance to the IEC 61439-1/-2 switchgear and controlgear standard. As with all Rittal’s solutions the power distribution range has been subject to the most stringent testing, demonstrating their capability to operate in the toughest and most demanding environments. Automation in panel building The machines and solutions provided by Rittal Automation systems facilitate the optimisation of the complete work-flow in Rittal’s panel building manufacture, from machining of the panel parts and automated wiring of the panels to testing of the finished panel, supported by a diversity of handling systems such as the Assemblex. Rittal will be showcasing its top-of-the-range PADS and LUL-approved range of enclosures at Infrarail 2016. Enclosures have a vital role to play both in ensuring the safety and security of electrical equipment and also in protecting the people who operate it. Rittal is one of the world’s leading system suppliers for housing and enclosure technologies, combining a focus on energy conservation with efficient engineering. The company’s renowned infrastructure system offers five perfectly matched modules: rack, power, cooling, security and monitoring and remote management. The company will be exhibiting a range of Network Rail Approved Outdoor Enclosure systems including a range of double-walled CS enclosure systems used extensively in Long Line PA applications as well as on level crossing controls. Made of aluminium alloy, AlMg3, which offers exceptional corrosion resistance, the CS enclosure has many built-in features include fan and filter cooling, and anti-graffiti Ri-Nano paint finish, 19” angles front and rear, fan trays, light units and door mounted switches, telescopic shelves, heaters and temperature controllers. The enclosure’s robust but lightweight frame means that only two people are needed to position it. For installations of outdoor free-standing enclosures there are custom-built Rittal pre-cast concrete base/plinths which significantly reduce the time and cost of the install, as well as preventing disruption to services by removing the need to mix concrete and remove waste from site. Other key products in the range include wall-mounted boxes and pole-mounting kits to fasten metal and non-metal enclosures to round and square poles and Rittal TS IT racks. The racks are simple and flexible enclosure systems which feature snap-in technology, flexible internal configuration, intelligent cable management system, vented doors and multi-functional roofs. European and global networks predominantly run on Rittal’s “The System” solution, utilising enclosure technologies, electronics packaging, power distribution, UPS, climate control, IT Solutions including high density cooling, control and monitoring solutions along with the integration and service to support these technologies. Visitors to the show will also be able to find out more about the company’s popular busbar systems Ri4Power electrical power distribution system and latest Power Engineering planning software. The software provides comprehensive support in planning and verifying standardised Ri4Power switchgear, as required by IEC 61439-1/-2 standard. As with all Rittal’s solutions the power distribution range has been subject to the most stringent testing, demonstrating their capability to operate in the toughest and most demanding environments. 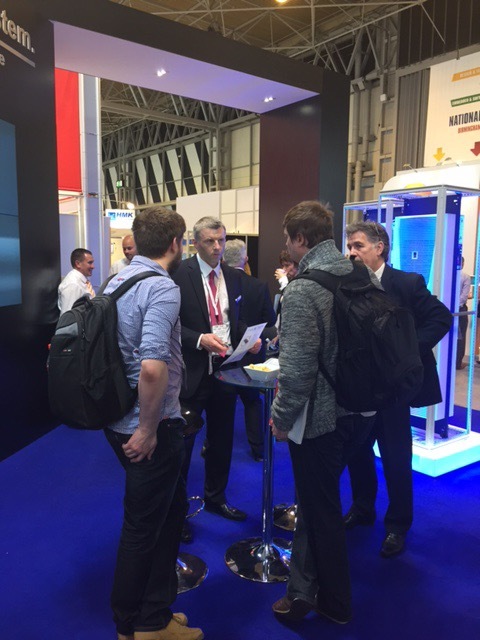 We’ve got a busy week of exhibitions next week, appearing a three of the industries major events – Drives & Controls, InfraRail and DCW – we hope to see you there.